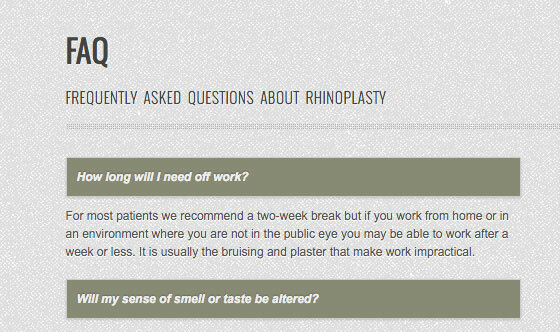 Rhinoplasty Auckland - medical website design and branding. 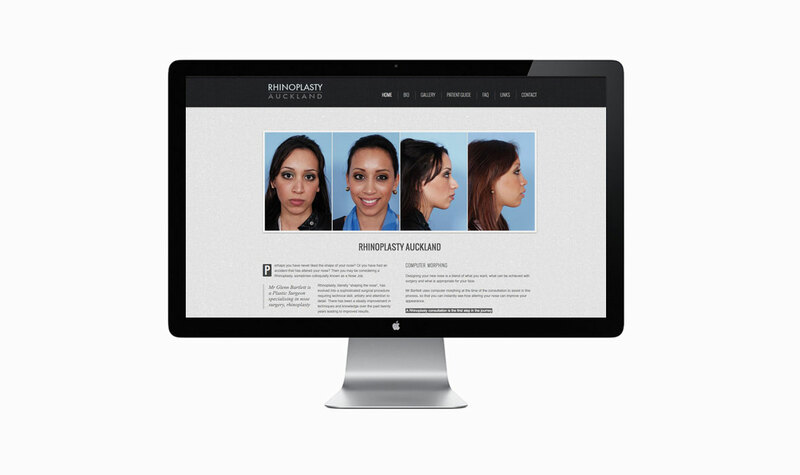 Glenn Bartlett required a new medical website in 2011 for his rhinoplasty procedures targeting the youth market (20-30 year olds). The website was designed and developed by AMG DESIGN using the latest responsive web design coding of the time and a simple logo design was created. To meet all Google's new requirements for mobile-friendly responsive websites, we updated the web coding to be fully responsive in all mobile devices in 2015. Navigation throughout the site was easy to follow using interactive drop down menus, so website visitors would have a very clear idea of exactly where everything was on the website. 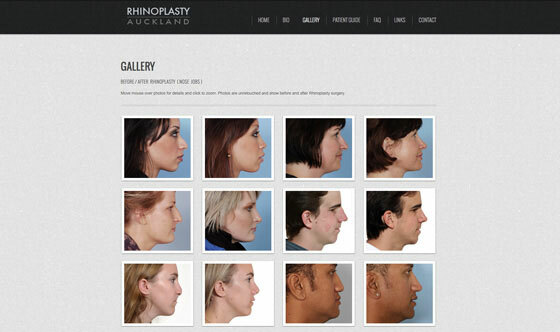 Allan, our in-house photographer, photographed Glenn Bartlett in his private practice in Auckland and Pen designed and developed a bold, modern website for his target market, featuring an interactive 'before and after' photo gallery demonstrating Glenn Bartlett's craniofacial rhinoplasty surgical skills. All pages were embedded with Google Analytics for web traffic analysis. 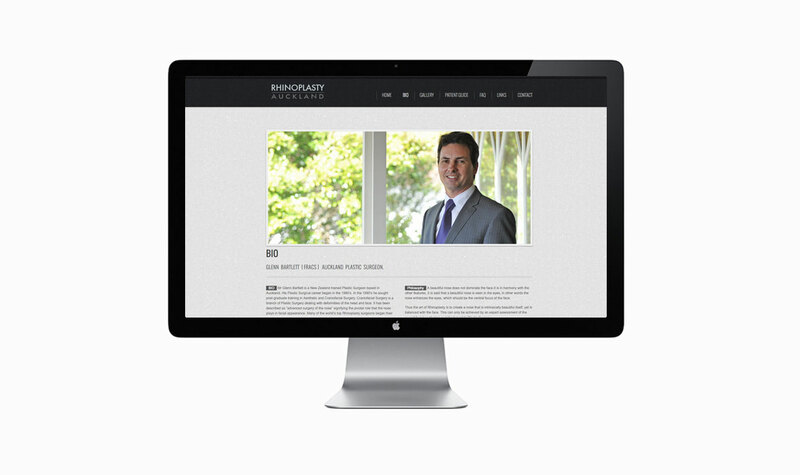 AMG DESIGN hosts and manages all website updates. 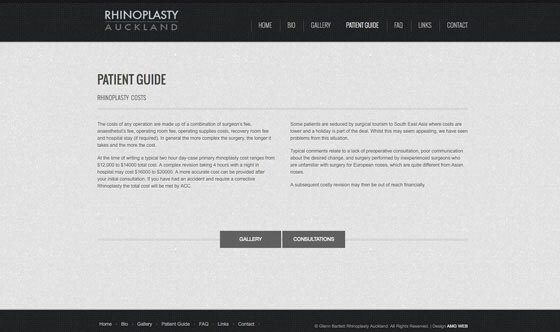 We optimised the website and registered search engine friendly domain names, resulting in Rhinoplasty Auckland ranking organically at the top of Google Search for their chosen keywords and maintaining their lead. We embedded an interactive Google map and added captcha coding to the contact form to help reduce email spam. 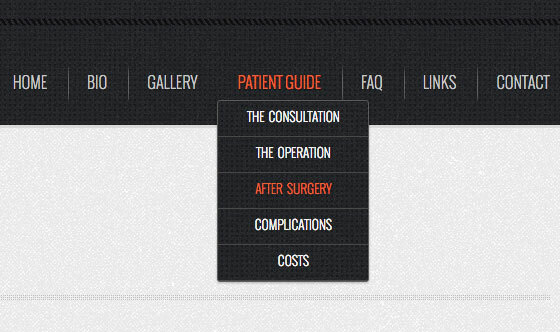 The end result is a responsive, top ranking, unique medical website.